Yossi Milo Gallery is pleased to announce an exhibition of color photographs by Korean artist Myoung Ho Lee. For the artist’s second solo exhibition in the United States, Tree... will include images produced between 2011 and 2017 in Korea and Mongolia. The exhibition will open on Thursday, June 29 with a reception for the artist from 6:00 - 8:00 PM and close on Friday, August 25. 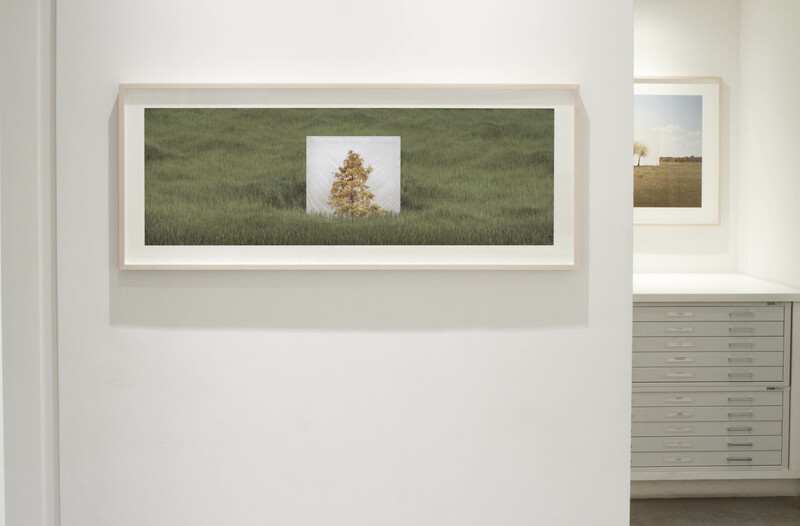 Situated somewhere between botanical field studies, studio portraiture and billboard advertising, Myoung Ho Lee’s tree studies pay homage to the everyday object and transform nature’s craft into a work of art worthy of careful study, as one would view a framed work of art. The tree “portraits” play with ideas of scale and perception, creating an image within an image that both highlights and obscures the relationship between object and photograph. 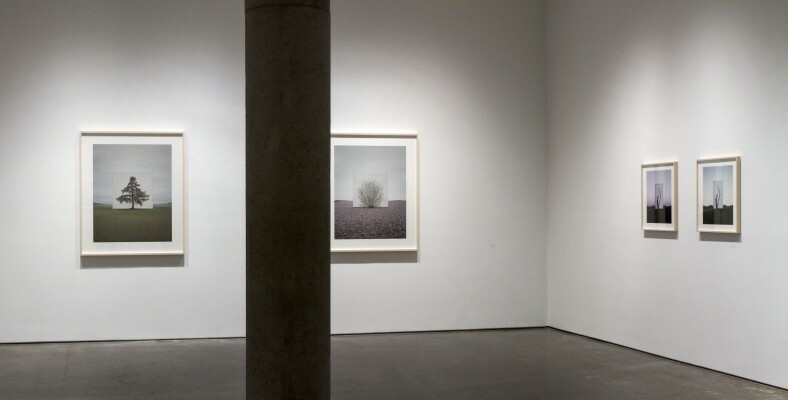 For the Tree... series, Mr. Lee photographs solitary trees growing in the landscape against a constructed white canvas backdrop, which isolates the tree from its surroundings and makes ambiguous its scale. After selecting a tree for its unique formal qualities and distance from other landmarks, the artist constructs a temporary photography studio on site with the help of a large production crew and heavy cranes. 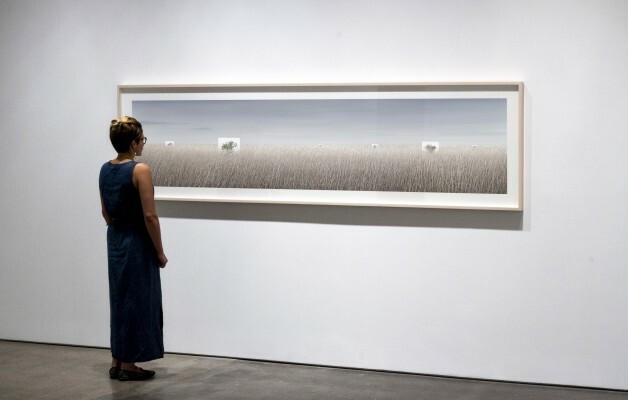 Using a large-format camera, Lee photographs each tree and oversized canvas in the center of the image, allowing the natural environment to fill the rest of the frame. After photographing the tree, minor components of the canvas support system, such as ropes, poles or assistants’ hands, are removed from the image through minimal digital retouching. Small tears and folds of the canvas and shadows of his helpers remain as evidence of the performative and installation aspects of Mr. Lee’s photographs. Myoung Ho Lee’s photographs are in the collections of the J. Paul Getty Museum, Los Angeles; National Gallery of Victoria, Melbourne, Australia; National Library of France, Paris, France; Museum of Contemporary Art, Salta, Argentina; Museo Provincial de Bellas Artes Franklin Rawson, San Juan, Argentina; Pushkin State Museum of Fine Arts, Moscow, Russia; and numerous South Korean museums including Daegu Art Museum; Gyeonggi Museum of Modern Art; and the Seoul National University Museum of Art. Mr. Lee was born in Daejon, Korea in 1975 and currently lives and works in Seoul, Korea. Tree... will be on view at the gallery concurrent with Ezra Stoller Photographs Frank Lloyd Wright Architecture , a presentation of black and white photographs by Ezra Stoller of buildings by Wright, in commemoration of the 150th anniversary of the architect’s birth.